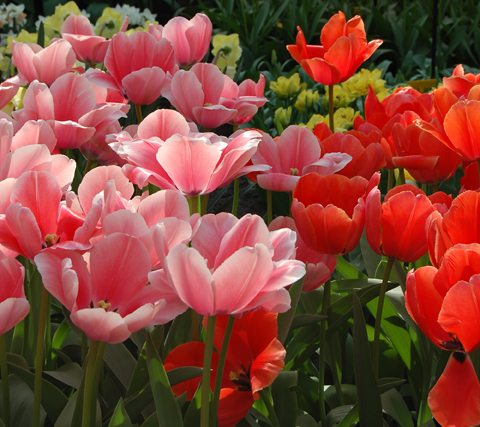 Tulips are spring-blooming perennials grown from bulbs planted in the fall. Bulbs for spring-blooming plants are available at Payne’s beginning in September and we take great pride in offering only the highest quality bulbs. It’s important to buy the largest, firmest bulbs available because cheap bulbs usually produce weak plants with few or no flowers. 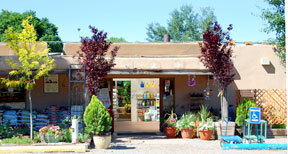 There are hundreds of varieties of tulips and our selection varies from year to year. The take-home tags on the bulb bins give details about color, height and how much space to allow between bulbs. Our Expert Advice section includes detailed information about How to Choose, Plant and Care for Bulbs, Tubers, Rhizomes and Corms which, of course, includes tulips. Florist tulips are hybrids whose bulbs may be planted outdoors after they have quit blooming. Read more at Tulips that Grow Indoors.